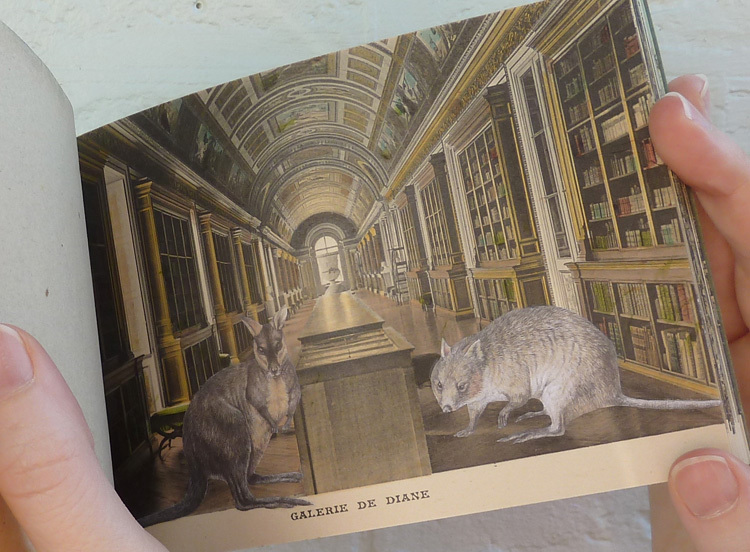 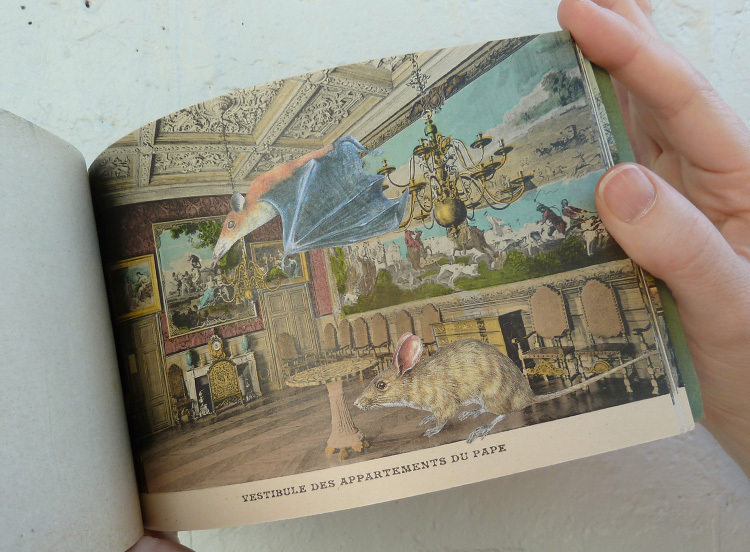 An artists’ book twenty-six pages in length, made especially for the National Gallery of Victoria's inaugural Melbourne Art Book Fair, NGV International, May 2015, which at first glance appears to take place in several of the 15, 000 rooms of the Château de Fontainebleau. 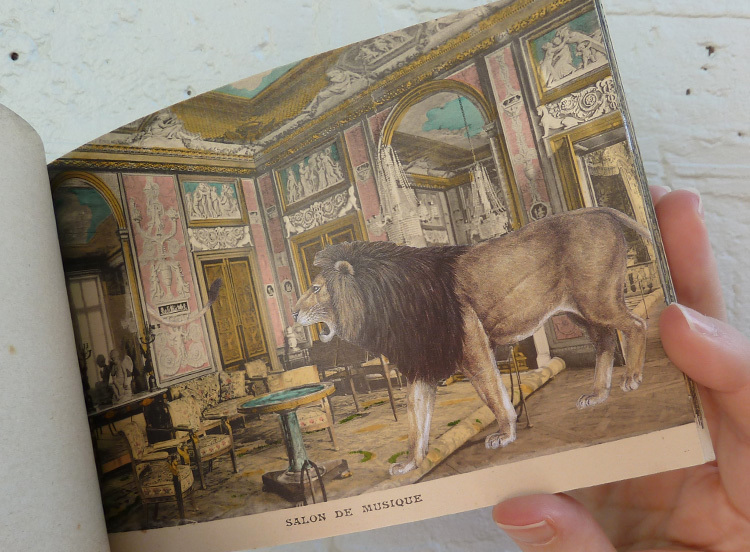 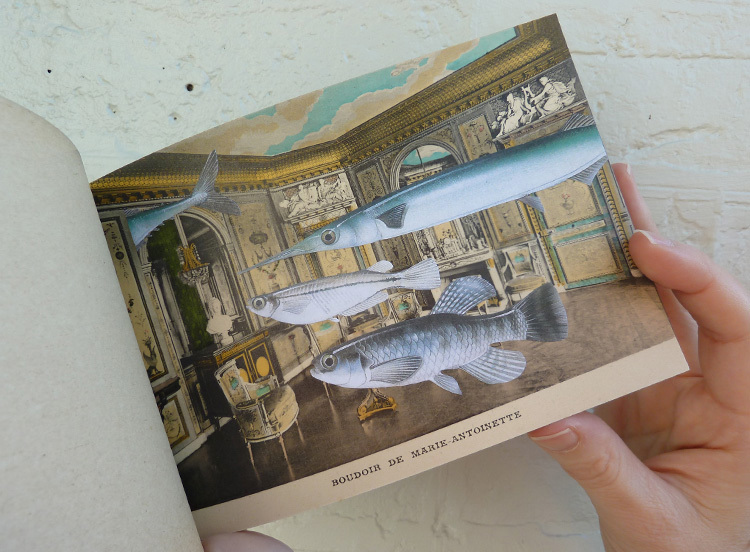 Turn the pages to find a school of varied fish in the boudoir of Marie Antoinette, an opossum rolling back the carpet in readiness for dancing, a lion looking for his tail in the Salon de Musique, a contemplative kangaroo roaming the grounds, and a sure-footed gorilla in the Salon des Fastes. 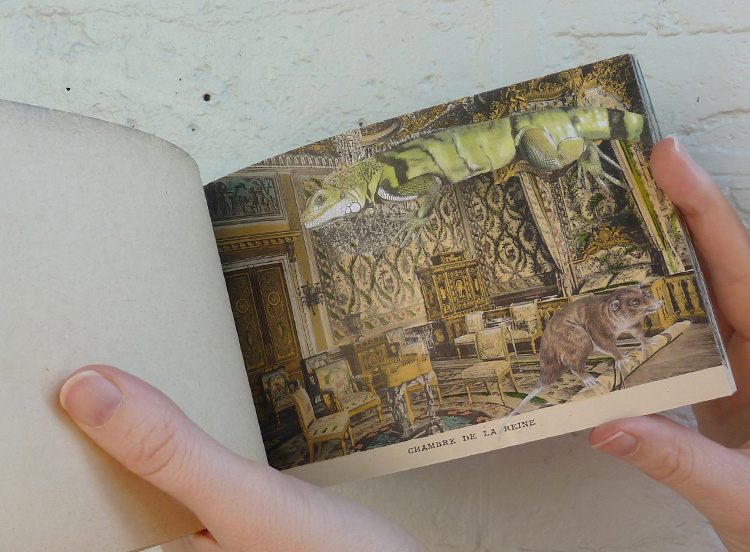 This artists' book is now in the collection of the State Library of Queensland.